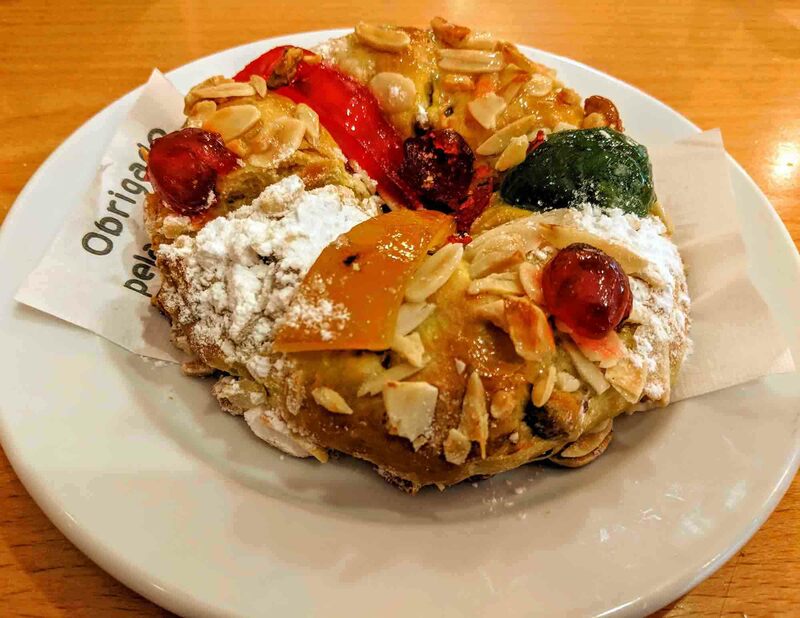 Once I got my head around the many different types of Portuguese coffee, the next obvious step was learning about Portuguese cakes and pastries. 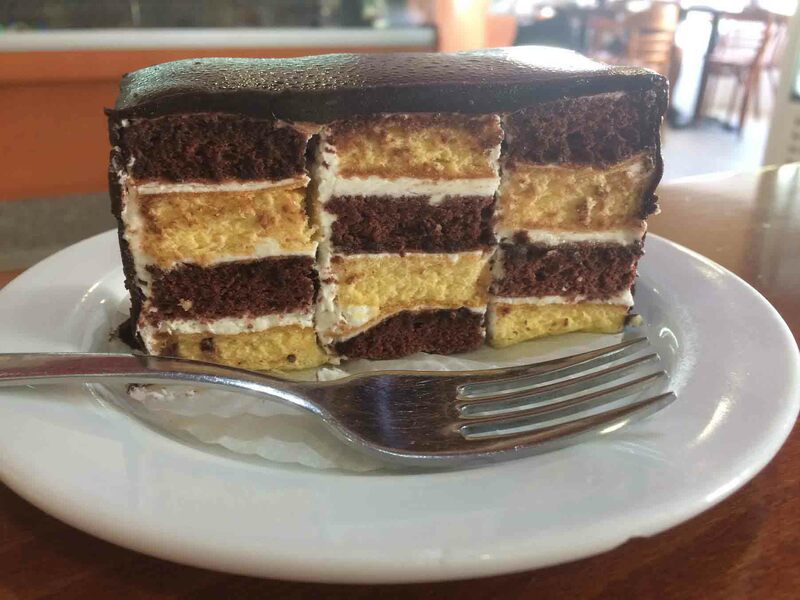 After all, you can’t just order a coffee in Portugal: you need a cake to go with it as well. 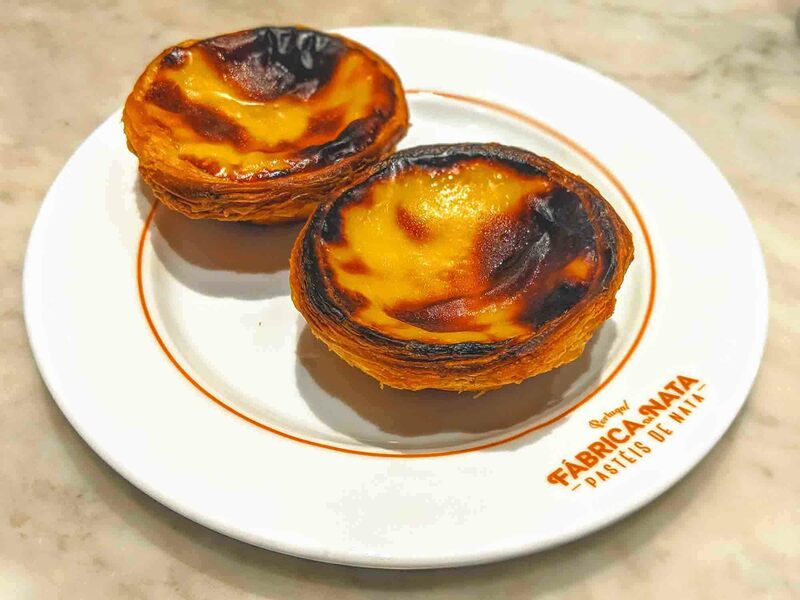 When it comes to Portuguese pastries and cakes, most people have heard of the pastel de nata (or Portuguese custard tartas it’s often called outside of Portugal). It’s probably the best Portuguese cake, but it’s far from the only one. 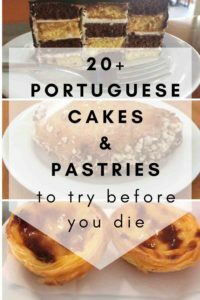 There are hundreds of different Portuguese cakes and pastries, and that’s before you take into account regional variations. The following is a list of just some of the different cakes and pastries that you’ll find in Portugal. It’s by no means exhaustive so, if you have any recommendations for cakes that have been missed, leave a comment below. I’ll do my level best to find it, and eat it! Also: Be sure to read our post on the 50+ different main meals, desserts, and snacks that you should eat in Portugal. Oh, and there’s a separate post dedicated solely to Portuguese desserts as well. These days, most people have not only heard of a pastel de nata, but actually tried one. 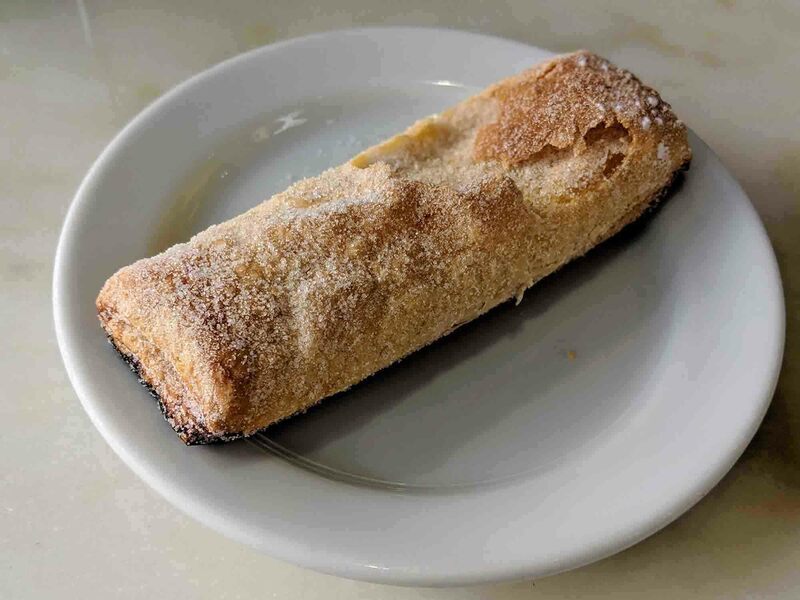 It’s one of Portugal’s most famous cakes and, not only will you find them in just about every pastelaria in Portugal, but you’ll also find them in many bakeries around the the world as well. From experience, the pastéis de nata I’ve found outside of Portugal are generally nowhere near as good as the ones you’ll find in Portugal. I don’t know if it’s to do with different types of ovens, or just people being unfamiliar with how they should taste, butmost non-Portuguese bakeries just cannot make them properly. If you want to experience the authentic thing, you have to come to Portugal. Then there’s the difference in quality between bakeries in Portugal. Although apastel de nata from any Portuguese café taste great, there’s a big difference between a bog standardpastel de nata and one from a specialist bakery likePastéis de Belém or Manteigaria in Lisbon. I’m always on the lookout for the best in pastéis de nata in Lisbonor wherever I’m visiting in Portugal. If you find anywhere you think is great, be sure to let others know by leaving a comment. 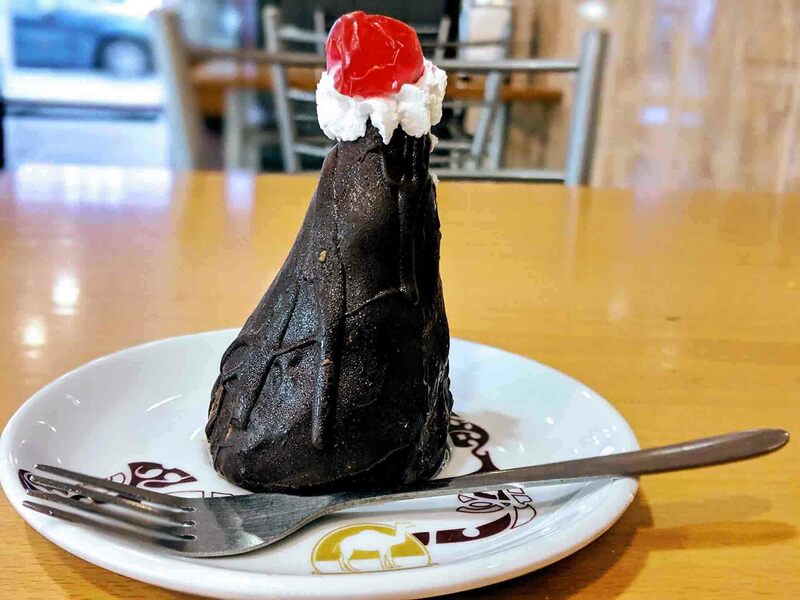 A pirâmide de chocolate is a pyramid-shaped cake that’s made from recycled* cake (whichever cake was about to go stale), then covered in chocolate, and topped with cream and a cherry. Recycled cake sounds a little unappetising, although this is quite common in other countries. Ireland has Gur cake, for example. Some people say it’s not made from recycled cake, but just from the trimmings of other cakes. And it’s definitely not unappetising at all. It tastes very similar to salame (see below) so, if you like that, you’ll probably like this too. It may even be better than salame, so it’s definitely worth trying. Pão de Deus is a little bread roll that are covered in coconut,doce de ovos, and sugar. It’s fairly savoury, as Portuguese cakes go, and is often eaten for breakfast or as part of a snack. Some people use them for sandwiches, filling them with butter, cheese, or ham. These are pretty common all over Portugal, and you’ll see them in the bakery section of most Portuguese supermarkets as well. On November 1st, All Saint’s Day, it’s typical in some regions for grandparents to give these to their children in a tradition known asPão-por-Deus. 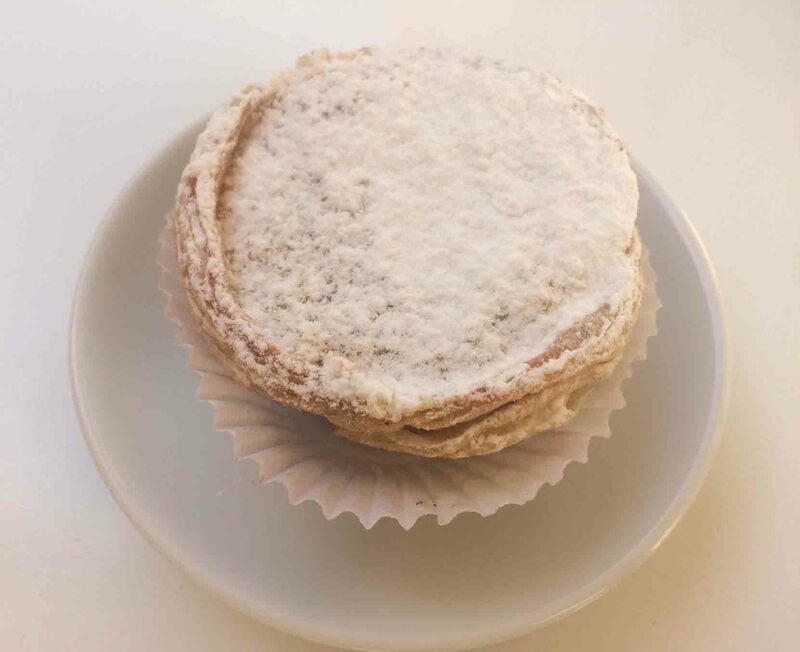 The Pastel de Santa Clara is very similar to the Travesseiro de Sintra (see below) both in design and taste, but better. It’s more delicate, more flavoursome, and more beautiful. Pastéis de feijão are small tarts with a white bean filling that are usually dusted with icing sugar. They’re typical in theTorres Vedras region of Portugal just above Lisbon, although they’re a common sites sight in pastelarias up and down the country. The bean filling suggests that they should be savoury, but they’re actually very sweet. 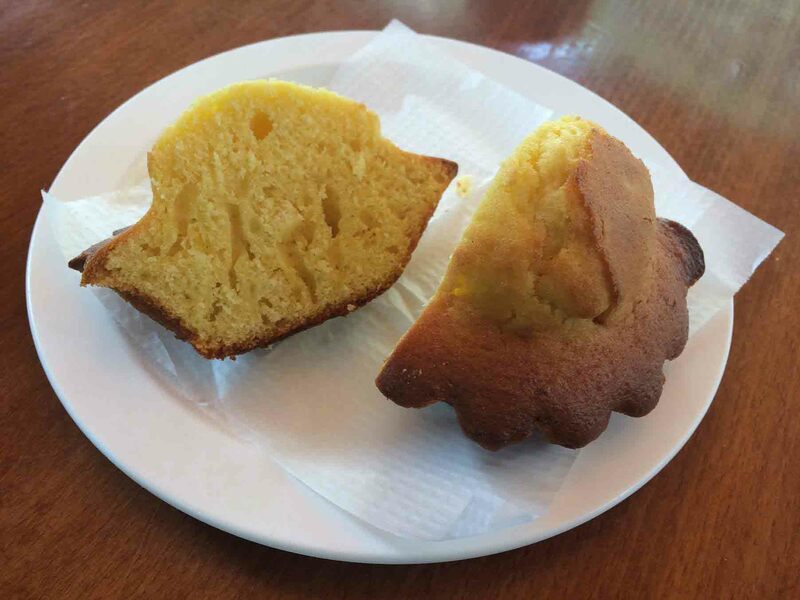 A Bolo de Arroz is a muffin-shaped cake that’s made from rice flour. They’re almost savoury, which is quite rare amongst Portuguese cakes as most are extremely sweet. If you don’t have a very sweet tooth, or you’re not in the mood for something sickly, this is a great cake to order. 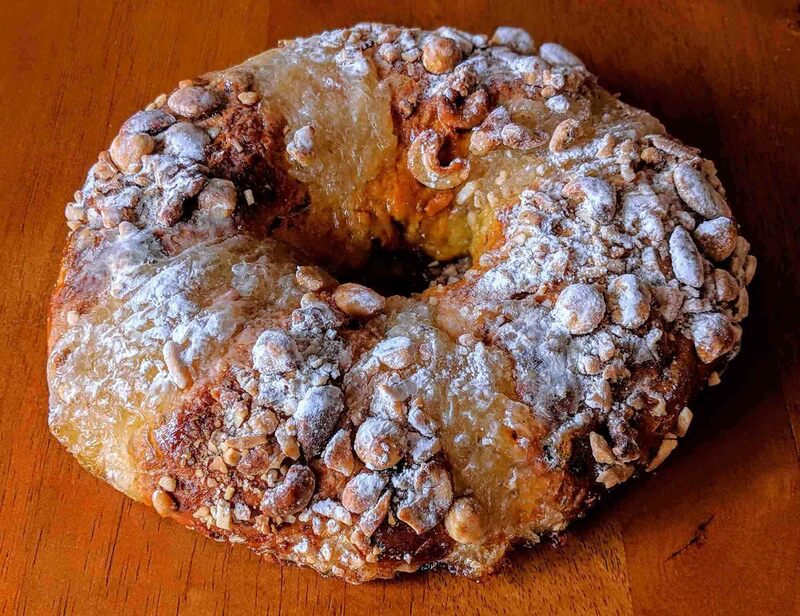 The Bolo de Arroz is a pretty common cake in Portugal, and you’ll see it almost as much as the pastel de nata. You’ll also find it outside of Portugal, particularly in Brazil, Mozambique, and Angola. 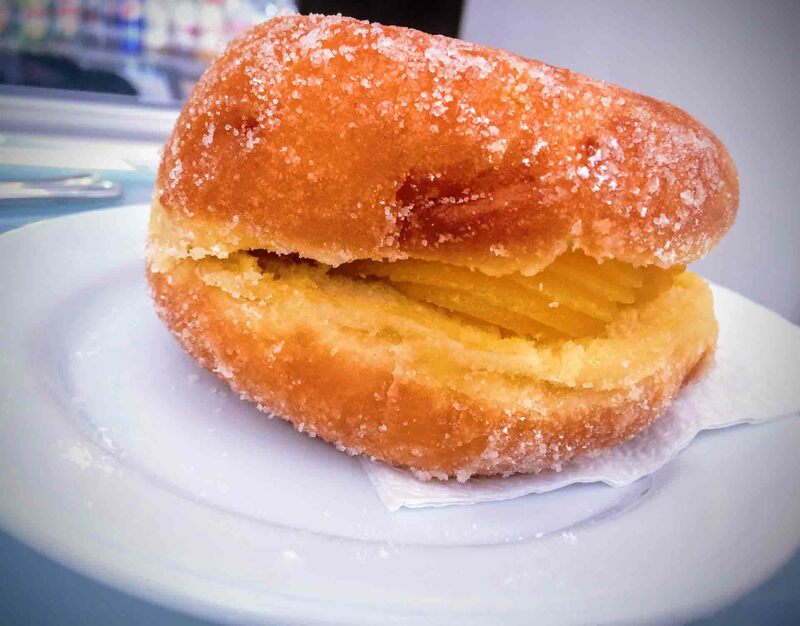 A Bola de Berlim is a berliner doughnut with a twist: Berliners usually have jam as a filling but the Bola de Berlim uses yellow Portuguese custard (doce de ovos) instead. 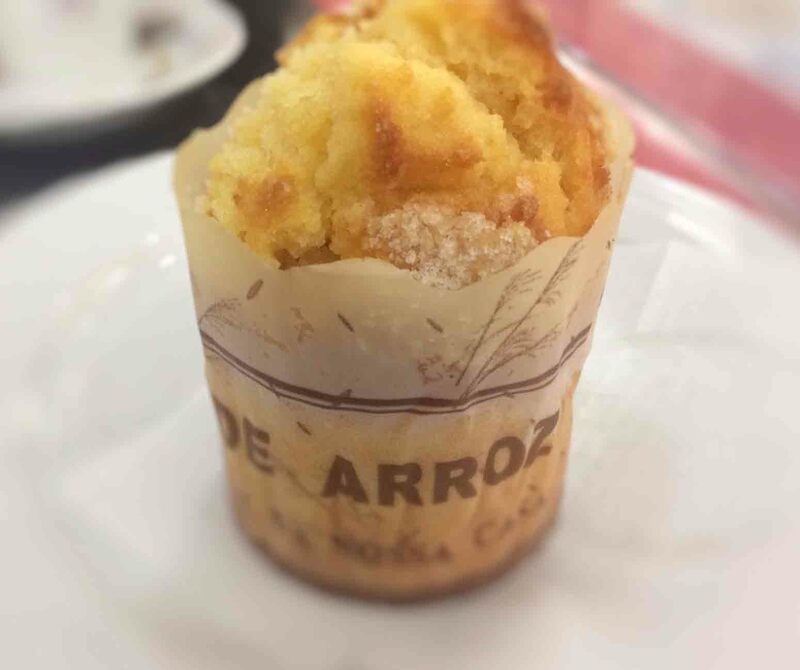 Like the Bolo de Arroz, you’ll find these at most pastelarias in Portugal. You’ll also find Portuguese people eating them at the beach, and you’ll sometimes even see vendors going up and down the beach selling them. Having a Bola de Berlim on the beach is very traditional in Portugal so, if you see somebody selling them, be sure to order one. Salame is a chocolate salami; a cake made from broken maria biscuits and chocolate. You’ll actually find chocolate salami all over Europe: in Greece (called aMosaiko), in Lithuania (called aTinginys), in Russia (calledshokoladnaya kalbasa) and in Italy (called salame di cioccolato). This is another sweet that you’ll find all over Portugal, and not just in cafés either. Most supermarkets will have them in the premade cake section, and you’ll also see single slice servings in vending machines next to the cans of Coca Cola. AQueijada is a small Portuguese cake made from eggs, sheep’s cheese or Requeijão (curd cheese), milk, and sugar. There are many different regional takes on the queijada, including theQueijada de Sintra and theQueijada de Evora. You’ll also find queijadas inMadeira, Oeiras, andPereira. Queijo de Figo is a cake that’s essentially just made from figs and crushed almonds that are pressed together. There’s a little more to it than that: sugar and cinnamon is also added, along with lemon zest, fennel, chocolate powder and sometimes other ingredients like medronho, but it’s a very simple dessert. Aside from the added sugar, it’s pretty healthy and almost completely natural. It doesn’t contain any flour and, importantly for vegans, it’s one of the few Portuguese sweets that doesn’t contain any eggs. This type of cake is typical in the Algarve, and you’ll find it sold there at the fruit and vegetable markets. Guardanapo means napkin or serviette and that’s exactly what these cakes look like. They’re essentially a square piece of Portuguese sponge cake, which is much softer than and more pliable than sponge cake in other countries. Portuguese custard is spread onto one side of the Guardanapo before it’s folded over – just like a serviette. A torta is similar to a swiss roll. It’s a piece of sponge that’s been spread with a filling, and then rolled up. 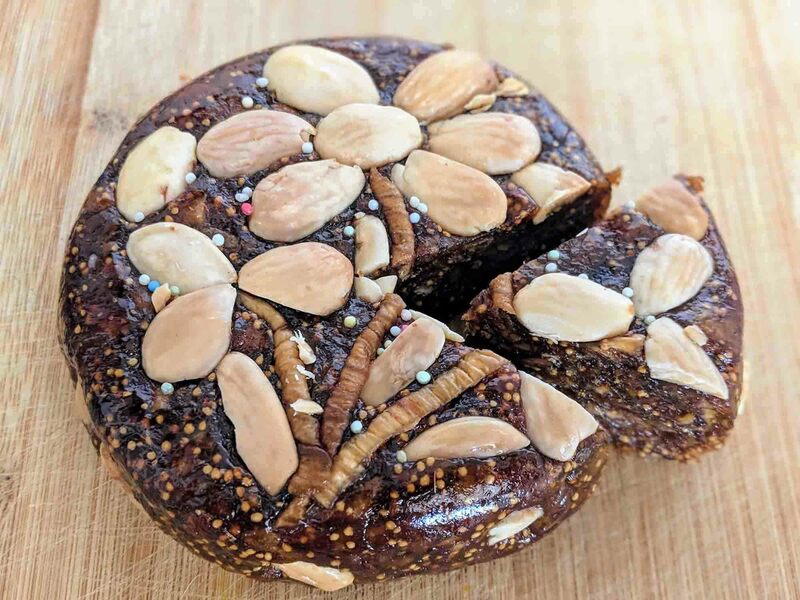 You’ll find several different types of torta in Portugal including cenoura (carrot), noz (nuts), and chocolate (chocolate). 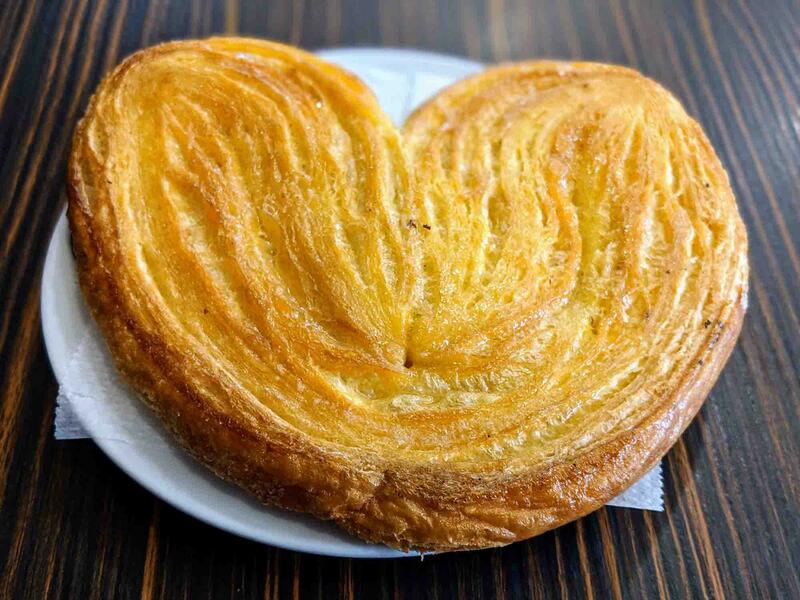 You’ll find Palmiers for sale in pastelarias throughout Portugal, and even in your local Portuguese Lidl. They’re made from puff pastry that’s coated in sugar and then rolled up into a heart shape. Although the name sounds French, some Portuguese people believe that’s where the French connection ends and that they are in fact Portuguese. Palmiers aren’t very sweet and have a very buttery flavour to them. They’re perfect for enjoying with a big milky coffee first thing in the morning. Sweet, sticky, and tasting like marmalade, pastéis de laranja make use of the many oranges that Portugal grows, particularly in the Algarve. A travesseiros is a pillow-shaped pastry made from puff pastry that’s filled with an egg and almond cream and then sprinkled with sugar. Although they’re sold throughout Portugal, many believe that you cannot get a good one outside of Sintra. If you’re visiting Sintra it’s worth doing as the Portuguese do and making a special pilgrimage to Casa Piriquita, a pastelaria in the heart of Sintra. AMil Folha is amille-feuille, although in England and Scotland it’s often just called a vanilla slice or a custard slice. 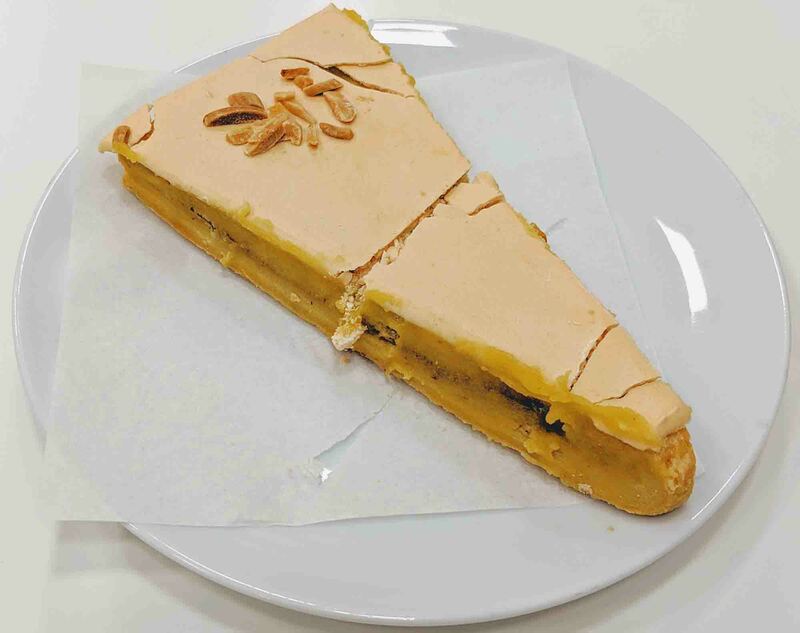 This is definitely a French cake, although it’s quite common throughout Portugal and also in Brazil. InBragança and in Porto, you’ll find regional takes on the mil folha that you’re unlikely to find anywhere else. 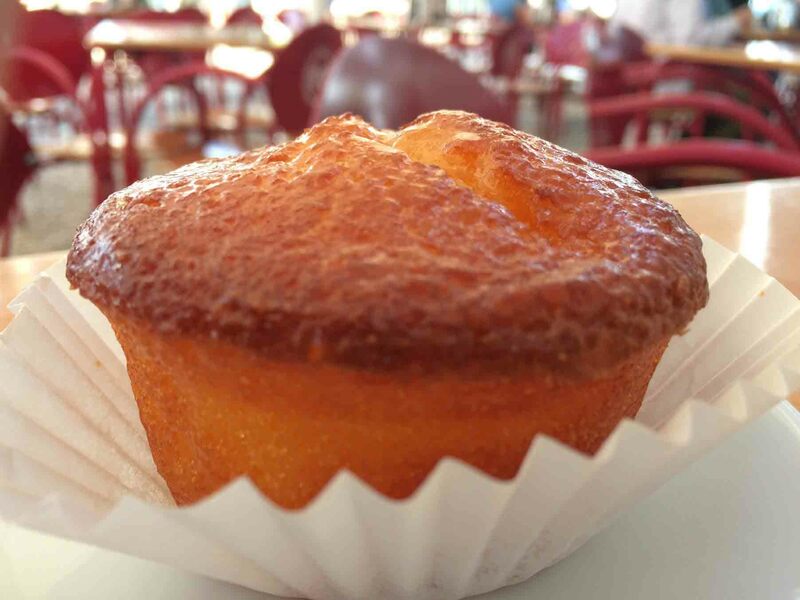 Aqueque is a crown-shaped Portuguese-style muffin made from dough, yeast, and fat. It’s pronounced like the English word for cake, and these can be found in pastelarias all over Portugal. Like the Bolo de Arroz, they’re fairly savoury and are a good option if you’re not looking for something overly sweet. A tigelada is very similar to acrème brûlée (or leite creme as it’s known in Portugal). It’s made from eggs, milk, sugar, and cinnamon and then baked in a terracotta bowl. Unlike acrème brûlée, which is usually made up fresh, the tigelada is kept in the pastelaria counter along with the other cakes. 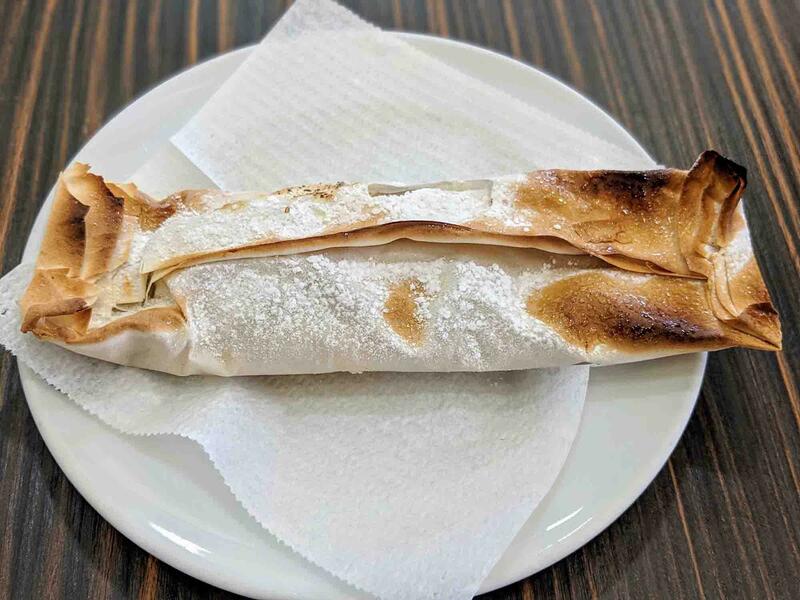 ATorta de Azeitão is a Swiss Roll-style cake that’s typical in Portugal’sSetúbal region. As with many Portuguese cakes, the filling is made from doce de ovos. 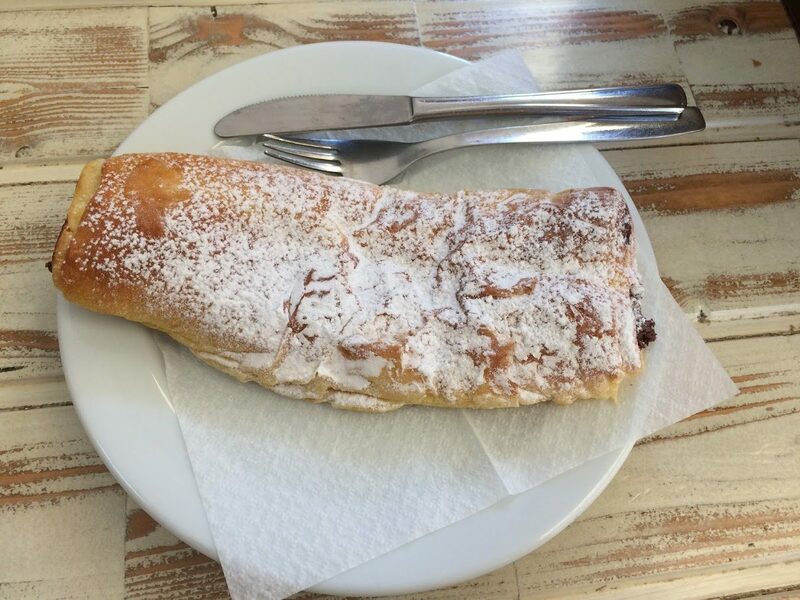 Made up of different squares of cake and then covered in chocolate, the Bolo Xadrez is a common feature in pastelarias all over Portugal. Ovos Moles de Aveiro is a Portuguese delicacy that originates fromAveiro, although you’ll find these in most Portuguese pastelarias. As of 2006, Ovos Moles are the first Portuguese sweet to receive the Protected Geographical Indication certificate. 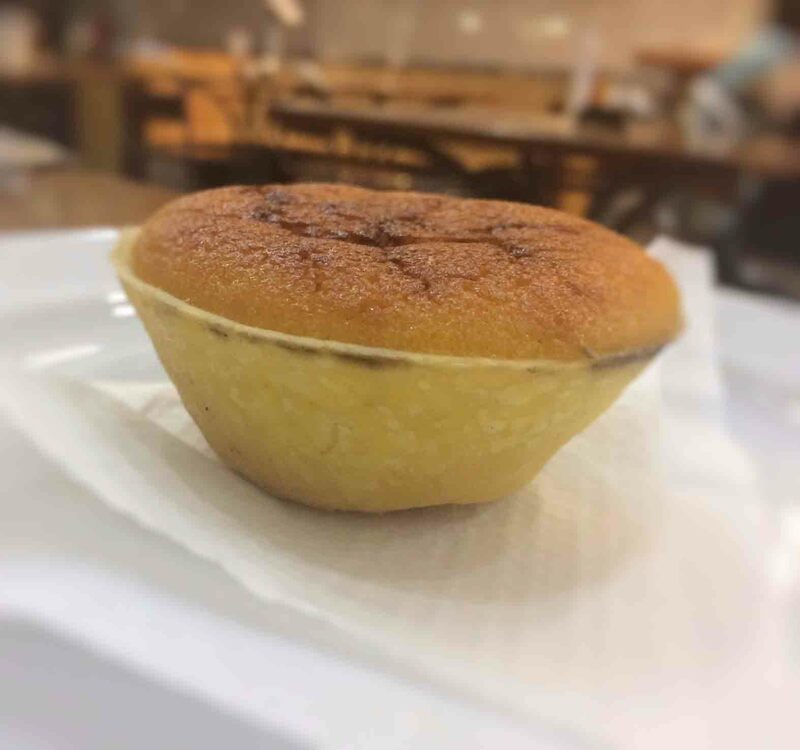 The outside is made from a wafer-thin pastry, while the inside is filled with a thick, and very sweet, egg yolk filling. Bolinhos de Coco are small cakes made from desiccated coconut, eggs, sugar, and lemon zest. You’ll find them in pastelarais and, because they’re so easy to make, people often make them at home as well. A folhado de maçã is basically an apple turnover. Sometimes they come with chopped nuts on the side. As well as folhados de maçã, you’ll also find several other apple-based pastries and cakes including delícia de maçã and tarte de maçã. 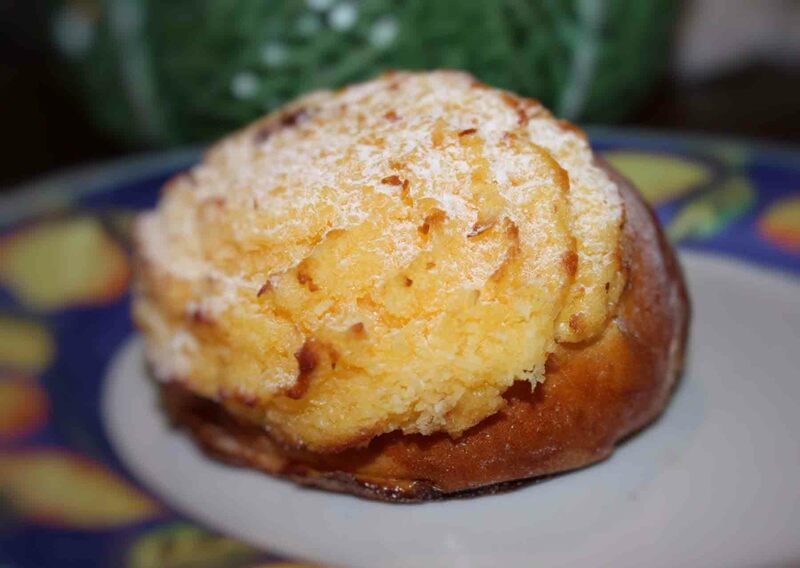 Found in pastelarias all over the country, these pastries are believed to have originated inSanto Tirso nearGuimarães. They’re usually covered in a sugar glaze, although there are numerous variations. The only thing that stays constant is its triangular shape, which some say is based on a Jesuit cloak. Fatia simply means slice. Fatia noz means a slice of nut cake while fatia cenoura means slice of carrot cake. It’s not exactly the most descriptive name in the world, and it doesn’t tell you a lot about what the cake is made of, but it’s pretty common to see this on pastelaria menus. Bolo rei (king cake) and bolo rainha (queen cake) are two of the most popular Christmas cakes and, although you can get them throughout the year, you’ll really see a lot more of them in the run up toChristmas.Bolo rei has sugared fruit on the top, whileBolo Rainha is more nuts-focused. Although you’ll see them everywhere throughout December, they are traditionally eaten in the days between Christmas and Epiphany (6th of January). Confeitaria Nacional, a bakery in Lisbon, is credited with introducing this cake into Portuguese culture in 1870. Although just about every other bakery in Portugal now makes one, as well as most Portuguese supermarkets, many Lisboetas believe that this is still the only place to buy one. Almost identical to a French éclair, although Portuguese éclaires often use doce de ovos for the filling. 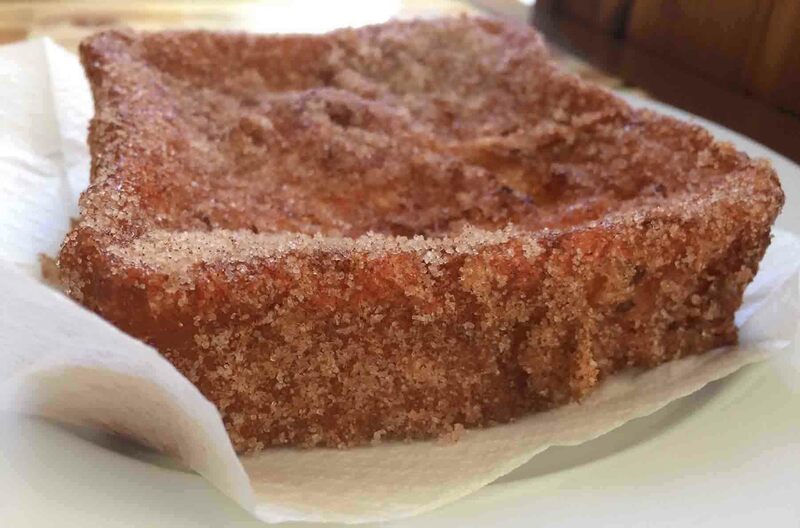 A fatia dourada (or rabanada) is like a cold slice of French toast, and that’s pretty much what this is. It’s a lot sweeter and a lot more sugary than French toast, so you’ll need a strong black coffee to wash it down. This doesn’t need to be served cold although, if you see it in the pastelaria counter, that’s probably how it’ll be served. If served warm, it’s usually served with a wine syrup on top. 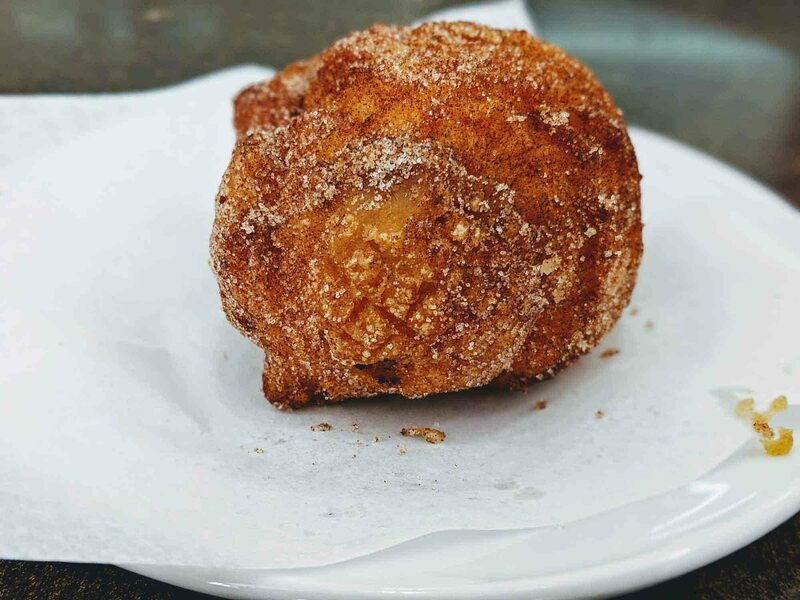 Sonhos (sometimes calledsonhos de natal) are a type of Portuguese doughnut: they’re round balls of dough made from flour, butter, eggs, sugar, and cinnamon that are fried and then coated in sugar. Sonhos are quite a Christmasy cake, and so you’ll only really see them in Portugal in Autumn and in the months leading up to Christmas. Another Swiss roll-style cake, thePata de Veado is recognisable by the strange wedge-shape that it’s usually cut into. It contains doce de ovos for the inner filling and this is often found on the outside, along with desiccated coconut. What a fun way to learn a bit about the culture. we’re adding it to our treasure hunt of Portugal. Thanks for this terrific article! Thanks for the tips. My son has been in Portugal for months. I’ll try making him one of these cakes. That yellow custard is in a lot of recipes though. That’s interesting about the salami cake. It seems to be very common across all of Europe. Yes, a lot of the Portuguese cakes contain the yellow custard. It’s nice, but it does mean a lot of them taste very similar. in Portugal many people add port wine in the Chocolate Salami.